James Brown’s Night Train was a great dance number, we got to know it on the UK Sue label (it was originally a Jazz standard). That yellow round centre with its expanding red stripe meant excitement – this label was collected even if we had no idea who the artist might be. On that label we got to know that voice, his screaming, his style, his relentless orchestration – Mr Dynamite. James Brown was introduced to us all at the Twisted Wheel by DJ Roger Eagle. 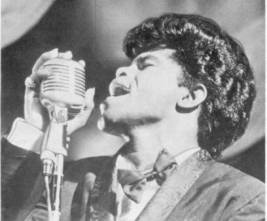 Nearly all of James Brown’s repertoire was played both at the Wheel and the Blue Note in Manchester in the 1960’s. There was an old TV clip from the 1950s that showed him dancing and that was it! (it was aired frequently again after he died). He spun around on the spot, his body rippled up and down, and he wore tight fitting Italian suits- this guy was a MOD! We all tried to emulate his dance style at the Allnighters at the Wheel circa 1966. Singing gospel at an early age seemed to have little effect on five year old James Brown – he was heading out to be a juvenile delinquent soul superstar and back again. At 70 he became an old age delinquent. He was the single child of a very poor backwoods family, so poor they couldn’t bring him up and he was shipped out to Augusta, Georgia at the age of five to live in his aunt’s brothel. He had to earn his keep running errands for soldiers from nearby Camp Gordon, capturing their attention by ‘buckdancing’ then enticing them into his aunt’s place. 1952 James joined the Gospel Starlighters, led by Bobby Byrd. Eventually they became a rhythm and blues group changing names to The Avons, then The Flames. 1955 in Macon, Georgia, they made a demo record at radio station WIBB – this was Please, Please, Please. 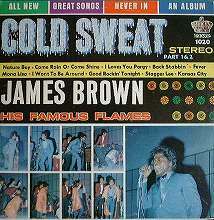 Producer Ralph Bass heard the demo, impressed with James Brown’s lead vocal he signed them to King Records in a Cincinnati. Bobby Bird’s family took James in and looked after him. Despite this, he was in trouble – often. In 1956 Please, Please, Please went to Number Five on the Billboard’s R & B chart. 1959 Try Me their biggest hit so far went to Number One on the USA R & B chart.In 1963 they recorded ‘Live At The Apollo’. 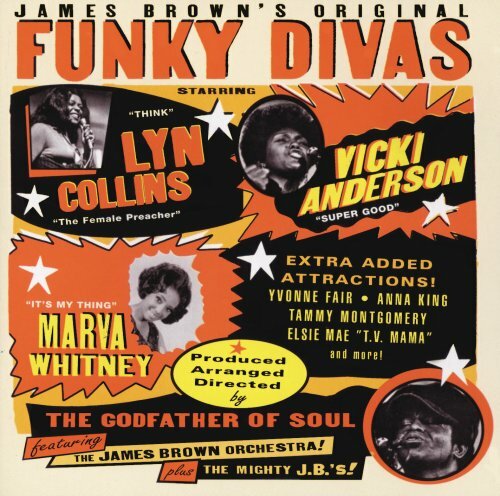 King Records believed this album wouldn’t sell, so James Brown paid to record a set of performances at the Apollo Theater himself in October 1962. Released in 1963, ‘Live At The Apollo’ went to number 2 on Billboard’s album chart and it stayed there for a long time due to massive plays on black radio. 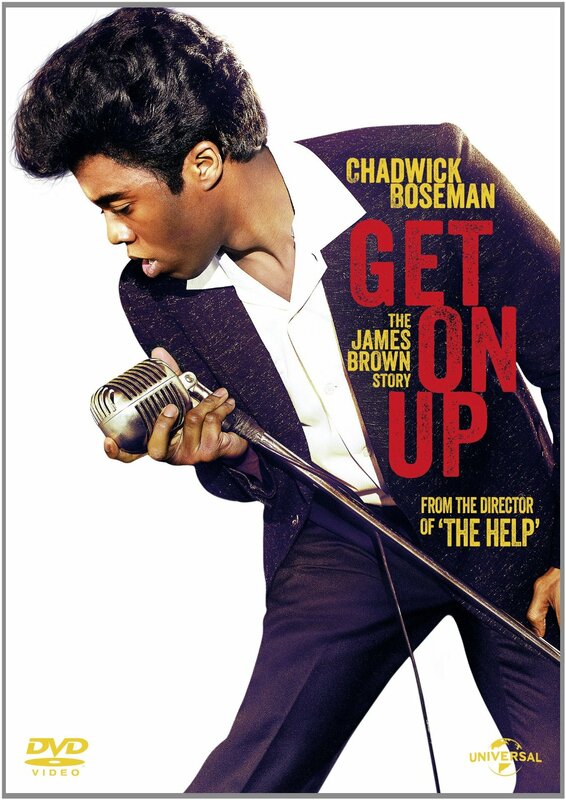 James Brown revisited the Apollo a few more times to repeat the process, at the same time releasing a string of hits. All of these gaining massive plays at Soul clubs in the UK and James eventually lost his title as King Of Soul and became The Godfather. He was also extremely popular in France and became associated with many of the chic clubs of the day in Paris which were so cool. 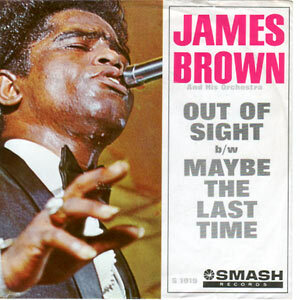 Many of today’s rappers and other music artist (but: No Hip Hop Here) have followed his style and James Brown has been sampled more than any other artist. He will be greatly missed. As the ultimate accolade of fame, he appeared as a cartoon character in the Simpsons. Please, Please, Please was covered and released as the B side in homage to James Brown, by Herbie Goins and Alexis Korner, who played it often in their weekly live sets in 1964 at the Manchester Twisted Wheel in Brazennose Street. Released on Parlophone UK the ‘A’ side was I Need Your Loving. And of course after that amazing sixties decade, with our favourites from that era listed above, Mr Brown went on to record hundreds more great grooves. A great tribute to JB. It cannot really cover everything but does show his bust up with his band and of his ‘adoption’ by the Byrd family and his long friendship and eventual falling out with bobby Byrd . Although Chadwick Boseman the rapper and actor who plays JB doesn’t really look like the man, his mimicry of JBs live recording into his performance has a strange magnetism.